The automotive industry, which involves everything from the design, development, production and manufacture of automobiles to the marketing and selling, is a huge industry. It involves many different intricate parts and processes, all of which must work seamlessly together so that the final product is safe and road-worthy. When you’re building a product that can travel at 100 mph, it’s vital that nothing is left to chance. Laser drilling, a now commonly used process within the automotive industry, provides the level of reliability, safety, and precision that the industry requires. Below we have explored in more depth how and why laser drilling is used within the automotive industry. There is no denying that the automotive industry is one of the largest in the world. There are now over 1.2 billion cars on the road, with this figure expected to rise to 2 billion by 2035. That’s roughly around 16.4% of the world’s total population. It’s hardly surprising then that huge automotive companies like Ford Motors generated around $150 billion in revenue in 2015. Automobiles and the automotive industry is something that almost everyone is involved in in some way. Whether it’s taking a lift in the family car, catching a bus, getting a taxi, or driving yourself, it is now just the given method of transport. Gone are the days when horse-drawn carriages ferried people around when the biggest concern was the health of the horse and the strength of the whip. Now automobiles consist of thousands of different pieces, from tiny nuts and bolts to large parts such as the doors. This is another reason that the automotive industry is so large; it’s not just the huge demand for the vehicles themselves, it’s the dozens of different companies and people that are involved in the production process along the way. 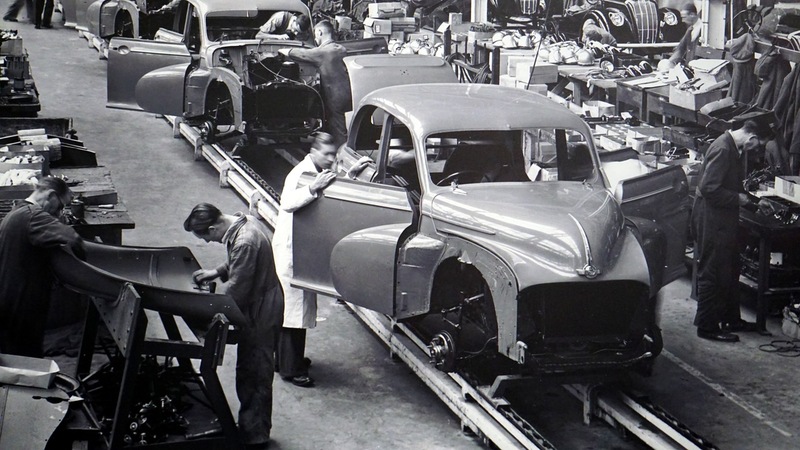 With so many different pieces and people involved in the manufacture of automobiles, it’s imperative that the process is kept streamlined throughout with reliable machines. This is why laser drilling has become increasingly prevalent in the automotive industry. Automotive manufacturers need to know that the millions of vehicles that they are putting out onto the roads each year are safe; they don’t have time to check each and every one individually. Laser drilling is the perfect solution for this. It is a non-contact process, meaning it won’t damage any of the parts that it is working with, therefore maintaining a high level of quality. It also offers a high level of control with the heat and beam intensity of the laser, and can be adapted between many different materials. All of these advantages of laser drilling mean that each part that is worked on in the automobile manufacturing process is produced to an extremely high and safe standard. What uses does laser drilling have in the automotive industry? Due to the adaptable nature of laser drilling, it is used in several different ways within the automotive industry through various types of laser drilling techniques. One such way is to laser drill small holes that are used for injection nozzles, which are the parts that deliver fuel to the engine of the automobile. The huge benefit of this is that previous methods, such as through electrical discharge machining (EDM), didn’t allow for the level of precision which could result in an accurate level of fuel flow. Laser drilling, on the other hand, provides the highest level of efficiency. Another use for laser drilling in the automobile industry, which is also a use in the aerospace industry, is to laser drill vent holes in various machine parts which allows for the cooling of said part. 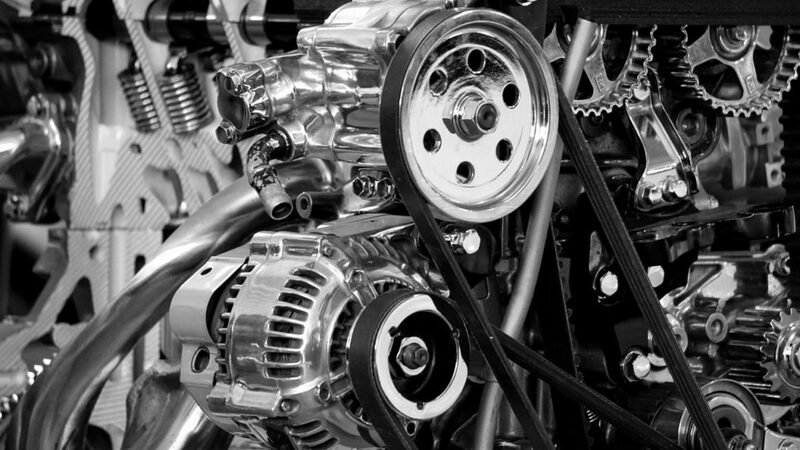 The parts required in the automotive industry are small, but still need to be robust. Holes in these parts can sometimes be as small as 0.0005mm, something that conventional twist drills are unable to achieve. Laser drilling, however, can, and allows for proper lubrication and fluid flow of the various parts. Think that you need laser drilling for your automotive process? If you’re involved in the automotive industry, then laser drilling will be a vital part of your manufacturing process. In fact, laser drilling finds uses across multiple industries, including the aerospace, electronics, and semi-conductor industries, and even the medical sector. If you’re interested in hearing more on how our elite range of Pulsed Fiber Lasers and Continuous Wave Fiber Lasers can help, then please do not hesitate to get in contact with us.